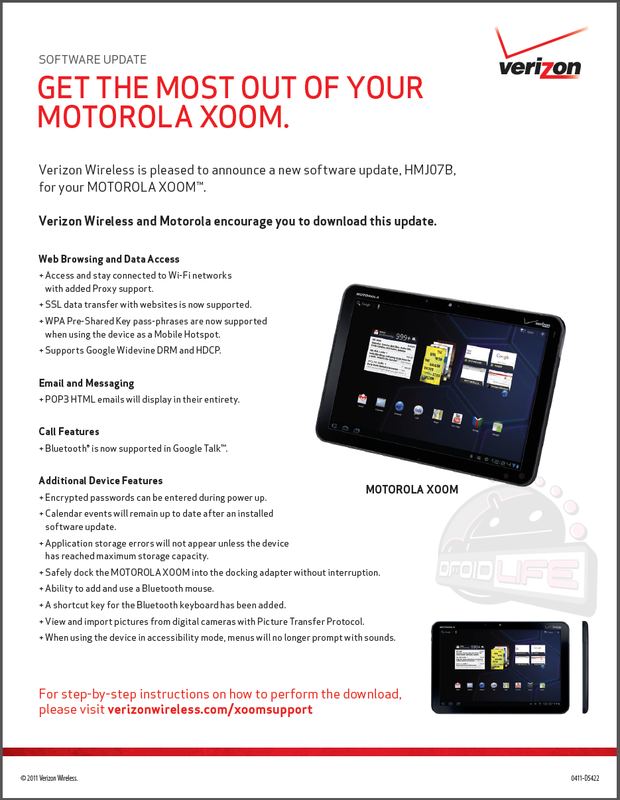 A Motorola XOOM update will be made available tomorrow that brings a bunch of fixes to the device including Bluetooth support on Google Talk and for a mouse, proxy support, and a new picture transfer protocol. Check out additional details after the break. 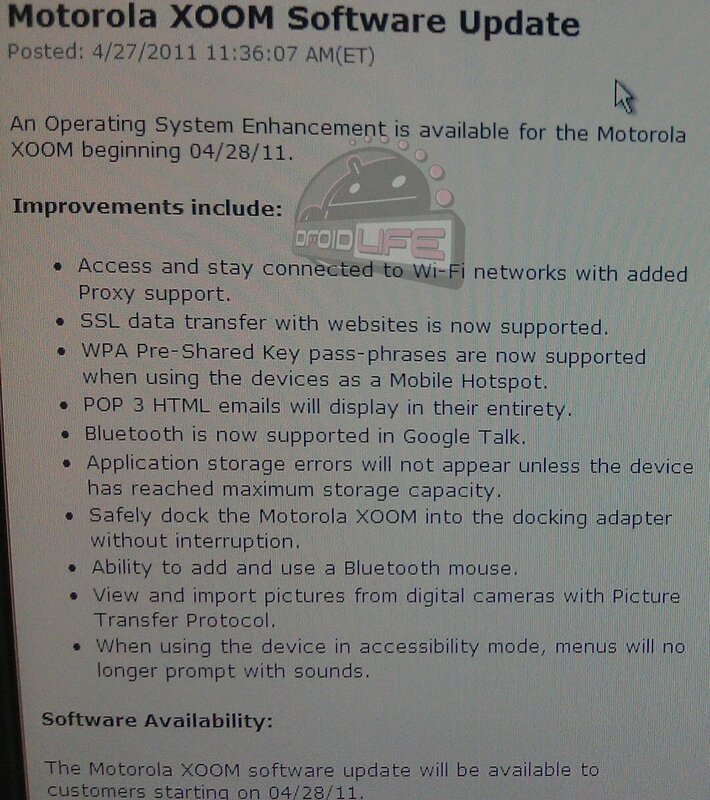 Oh, and no, this does not include a fix for SD card support. You still have to root and flash a new kernel to get that action. 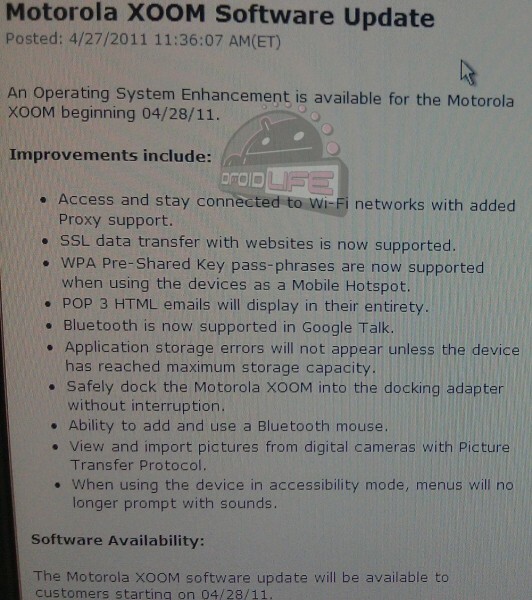 *Note – No need to freak out and worry about backtracking your rooted XOOM just yet. Once the update is out, we can probably expect someone to grab the file and then someone to find away to flash it. And if you’ve simply unlocked your device, then you should be able to receive the update without issue.